Don't forget to maintain your generator! | Old Dominion Innovations, Inc.
Home » Don’t forget to maintain your generator! Don’t forget to maintain your generator! 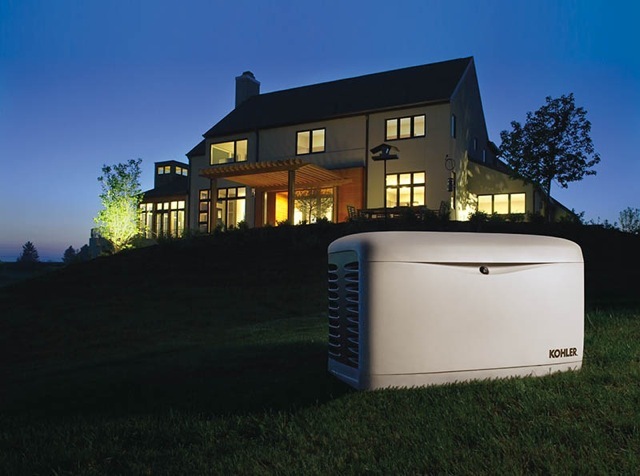 Generators are wonderful for backup power and Kohler carries the best warranty and reliability record in the business. You can count on getting many, many years of service from your generator …if you properly maintain it. Just like a car, your generator has an engine. And just as your vehicle requires regular skilled maintenance to perform properly, your generator needs oil and filter changes, adjustments, lubrication, battery, spark plug and belt replacement and even software updates. Without regular maintenance, you may find yourself in a dark house wondering why your generator did not come on. If you notice a delay or failure in start up on the weekly maintenance cycle, or if your power does go out and the generator fails to come on, the first thing to check is the gas pressure. In cold weather you should never let your tank get below 1/3 full to ensure adequate gas pressure for startup. If your tank is empty or low, we recommend that you refill it before you call for service. Gas issues do not fall under warranty protection, so that’s something you’ll want to investigate before you call for service. Another common cause of failure to start is a dead battery. Generators use a standard car battery. Like your car, the battery drains during the start cycle and then recharges while the engine runs. Unlike a car, however, your generator typically runs for only short periods of time after it starts, so the battery life is naturally decreased compared to what you’d expect to get in a car. Repeated attempts to start, without a consequent long run to re-charge (such as momentary power outages, or failure to start due to low gas pressure) can very quickly drain and even kill a battery. Checking the water level in the battery and topping it off if necessary is a good idea that can lengthen the life of your battery. Kohler recommends changing your generator’s battery every two to three years, so if your battery is older, replacing it is a good idea. Battery issues are also not covered by any warranty (save the battery manufacturer’s which will vary), so checking the battery makes sense if you’re troubleshooting an issue prior to calling for service. Remembering your generator before you need it can ensure that it will be there when you do. If you need a maintenance contract, call us at 804-368-0589.